With Hay Festival just around the corner, it’s officially the start of the 2017 Festival Season here in the Brecon Beacons! And we definitely have our fair share of music, food and family festivals that will put you in the celebration spirit. Our annual festivals celebrate our very best walking, food, drink, arts, music and entertainment the National Park has to offer. We like nothing better than a good get-together, and all are welcome…. Hay-on-Wye is rightly famous for this superb event which celebrates contemporary literature and intelligent discussion. The conc ept may be unashamedly highbrow, but the festival definitely has a fun side, with plenty of humourists in attendance, tasty food on offer and lively musical events at fringe venues. The formula has proved so successful, it’s spread from Hay to places as far-flung as Lebanon, Mexico and the Maldives. This year it’s even more special, it’s the festivals 30th birthday and everyone is invited! Hay Festival Wales takes place 25 May – 4 June in Hay-on-Wye, bringing writers and readers together to share stories and ideas in events that inspire, examine and entertain. Browse the programme and buy tickets or check out our guide to this years’s festival here. 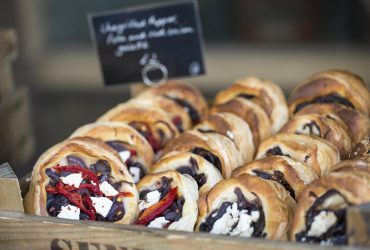 Foodie Stalls from local suppliers in Newton House and Courtyard, with cookery Demonstrations from top chefs! There will be workshops including chocolate making and talks from industry professionals. There’s plenty of activities for children, with cookery activities focused on having fun with food, health eating and how to Plant It, Grown It, Eat it. Event ticket prices- This event is free, but normal admission charges apply for the venue. With Welsh producers, growers, award winning chefs and local food suppliers firmly at its heart, festival goers will be presented with the very best Welsh produce to be found in the Brecon Beacons National Park. The pinnacle event in the British agricultural calendar, the Royal Welsh Show, will be held on 24 – 27 July 2017 at the showground in Llanelwedd. Along with an exciting four-days of livestock competitions, with entries travelling from far and wide to compete, the show has something to interest everyone through its wide range of activities including forestry, horticulture, crafts, countryside sports, shopping, food and drink and a 12-hour programme each day of exciting entertainment, attractions and displays. The Fringe is an open-access event, which means gigs and events over the Fringe are organised and funded independently by local landlords, venue owners and individuals. There is no official commitee – which is probably why it’s so successf ul! We then promote these events under the title Brecon Fringe Festival. Many of the gigs at pubs, galleries, cafes etc are regulars but anyone can put an event on as part of the Brecon Festival Fringe and we will include it on the programme. Brecon Fringe Festival offers opportunities for local bands to perform (as well as bands from further afield). It also brings money into the town, and this money goes into local businesses therefore directly supporting theBrecon community. Come to the Fringe if you like blues, rock, R&B, comedy, dance and alternative performances as well as occasional bursts of jazz. There are also family friendly events and workshops and children’s entertainment. There are 30+ venues again in 2017 with live music and other events taking place all over town and in nearby villages. The 2017 programme will be updated shortly but visit us our Facebook Page and follow @BreconFringe for up to date news and comments in the meantime. A fantastic four-day event in a beautiful, rural setting. From humble beginnings, it has grown to become the biggest music festival in Wales. This year’s headliners include Michael Kiwanuka, PJ Harvey, Future Islands and Kate Tempest, with acts who have taken part in the past including Mumford and Sons, Billy Bragg, Jarvis Cocker and Spiritualized. Good food, art installations and bonfires set the scene. Abergavenny’s weekend-long festival of food, drink and foraging already has an excellent reputation and, like good wine, it gets better every year. Expect stalls, demos, talks and fascinating activities such as guided wild food walks. This year’s lineup is bigger than ever and includes speakers such as Hugh Fearnley–Whittingstall, Tom Kerridge and Jay Rayner. There will be tours and forages, chef demos, masterclasses and plenty of proper Welsh food! Llandovery Sheep Festival celebrates droving, sheep farming & the wool industry. All weekend the town of Llandovery will be celebrating its farming routes and connection to the drovers trails of old. Highlights of the weekend include the fantastic sheep race, sheep dog trials & sheep shearing demonstrations amongst other great sheep-related fun. There will be competitions and music throughout. Please visit the website here for the festival schedule and full list of fun things to do and see. We Hope you enjoy celebrating our Summer of festivals here in the Brecon Beacons National Park! This entry was posted in family events, Festival, Festivals, Festive, fireworks, forage, Hay Festival, hay on wye, local food, Market, summer holidays, summer things to do, Uncategorized and tagged animals, celebrate, Drink, festivals, food, music, summer, welsh. Bookmark the permalink.